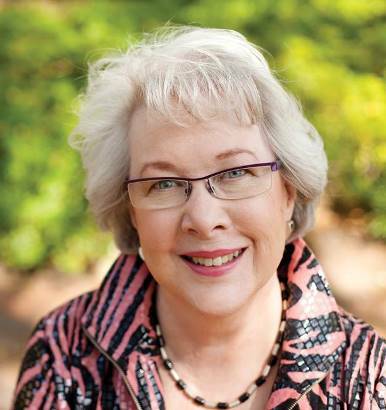 Lydia Ramsey is an international business etiquette expert, professional speaker and author. She is the president and founder of Manners That Sell, a firm based in Savannah, Georgia, offering seminars, keynote speeches and executive coaching to corporations, associations, colleges and universities. She began her career as an etiquette consultant over thirty years ago. Lydia firmly believes that etiquette in business is not about the rules; it’s about the relationships. You wrote an entire book on the subject of business etiquette and it was very well received, judging by Amazon reviewers. So what are the most common mistakes that you see people make regularly and what was the motivation behind writing the book? L.R. : This looks like a two-part question to me so let me answer the second one first: why did I write the book, Manners That Sell? I wrote Manners That Sell – Adding the Polish That Builds Profits because I saw the need for people to have an easy reference book when they were not sure of the proper etiquette and protocol in business situations. I learned early on in this business that what seems second nature to some is often confusing to others. The book has twelve chapters which address the most common areas of business etiquette that challenge professional people. First question; second response: The most common mistakes that I see people making today are (1) poor phone manners including smart phones; (2) little or no knowledge of proper email etiquette; (3) dressing inappropriately for the business environment regardless of whether it is a casual setting or a formal one; (4) and finally total lack of table manners over business meals. Business and ‘conservative’ are frequently used together and many of the rules and standards come from the 20th century. How is social media explosion changing the norms of business etiquette? L.R. : Social media is having a tremendous effect on how people conduct themselves in the business environment. The simple fact that social media allows us to connect virtually rather than personally has affected the time and respect we give to other people. Business is built on relationships and with few exceptions, online communication does not allow us to have personal interactions between and among colleagues and clients. No matter what is said about the ease of meeting and connecting with people via the Internet, you simply cannot establish relationships when you can’t see the person face-to-face or hear the sound and tome of their voice. Social media has opened up a wide door for rude people to walk through with their impolite behavior. We have fallen into an era of virtual disrespect. People do and say things online that they would never say in person. Telephone remains the number one sales tool for many businesses. Can you give us some rules for incoming and outgoing phone calls both to/from existing clients and for cold calling? Always identify yourself when placing or answering calls. When leaving a voice mail message, state the reason for your call. No one in their right mind will return a call to someone who is not identifiable or who is reluctant to reveal the nature of the call. When leaving a voice mail message, always give your name and phone number at the beginning of the message so the recipient does not have not have to replay the message several times over to get the correct phone number. Speak slowly. Focus 100% on the person to whom you are speaking. Avoid multi-tasking. People know when they don’t have your full attention. The polished professional first asks, “Is this a good time to talk?” A phone call is always an interruption. One of your books is called "Manners That Sell: Adding the Polish That Builds Profits". Can you share any stories from your practice when improving affected the bottom line? L.R. : One of my hot buttons involves table manners or as I call it, “Dining for Success.” A lot of business is conducted over meals. One of my clients says that he will never do business with people who have bad table manner , and certainly will never dine with any of them. What resources do you recommend to our readers who’d like to find out more about the subject? L.R. : The best resource I can recommend is my website: http://lydiaramsey.com/. In my Manners Store I have listed my books, DVD’s and online courses (both audio and video) to help people improve their business etiquette skills and their bottom line. I am also available in person for keynotes, seminars and personal executive coaching.